It’s probably a sign of my advancing years, but when I was asked to write an article for Hub Pages by my customer at Cars One Love, I had never even heard of car dipping, let alone did I know anything about it. When I started to research the topic, though, I thought, Wow! I wish I’d known about his when I was young and trying to make my second hand Datsun look cool! It turns out that car dipping is a way that you can paint a car in any colour and, if you change your mind about it, you can just peel off the paint and start all over again with another colour. It’s no wonder, then, that car dipping has become so popular and it all started with a DIY product called Plasti Dip that a guy in America invented to coat the handles of garden tools and wrenches. 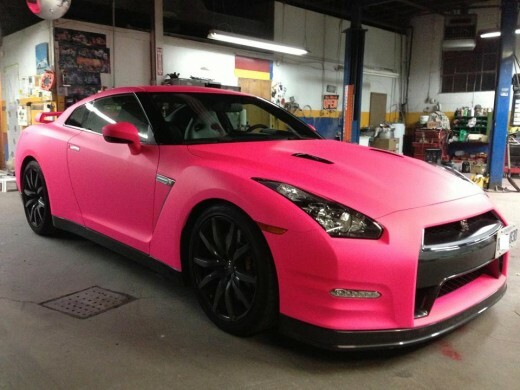 Here’s what I learned about car dipping and the product Plasti Dip. Plasti Dip was invented by a guy called Robert Haasl, who owned and ran a small Plastisol manufacturing company in the small city of Blaine, Minnesota, USA. The company was making heat cured PVC products such as toys and handle grips. 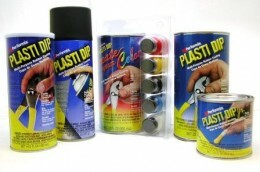 Robert Haasl was convinced that here was a market for a version of Plastisol that would dry in the air that could be sold to home DIY enthusiasts and he came up with the idea Plasti Dip. Haasl didn’t have a lot of luck selling his invention at first and the big DIY retailers weren’t interested in it at all. So, the company struggled on, and Robert Haasl spent hour after hour waiting in the reception areas of American DIY retail giants like Ace Hardware and Sears, hoping to get a chance to make a pitch for his product. Meanwhile, legend has it, that a car enthusiast in Florida named Joe Plesher was searching through his garage trying to find something that he could paint his car wheels black with and all he could find was a can of black Plasti Dip that his brother had left lying around, so he gave that a go. 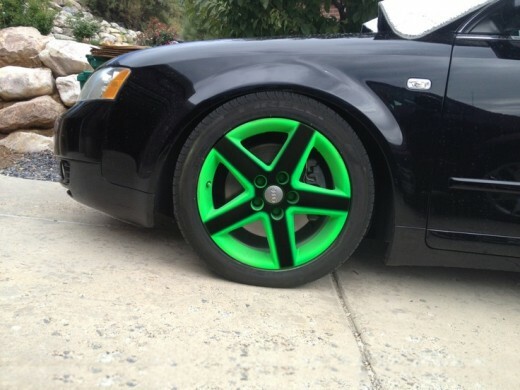 Plesher was so impressed by the results of his experiment, he immediately went out and bought all the cans of Plasti Dip he could find and he started experimenting with it on other parts of his car. Joe Plesher then started to share his DIY car dipping experiments via YouTube videos, and the car dipping craze was born. 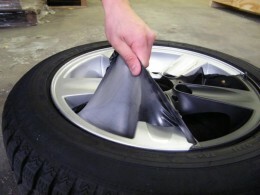 The car dipping craze then went viral and, three and half years after Joe Plesher first sprayed his rims black with Plasti Dip, his car dipping tutorials have received over 60 million views on YouTube and his website DipYourCar has become a major reseller of the Plasti Dip product. Sadly, Robert Haasl died before the car dipping craze took off, but his son, Scott, who now runs the Plasti Dip Company, initially had no idea why his father’s product that Scott has called “plastic gloop” had suddenly started to sell so well. When Joe Plesher’s videos first started to take off, sales of Plasti Dip jumped suddenly from just 20,000 cans a month to more than a million a month and, today, Plasti Dip is an internationally recognised brand. It just goes to show what social media can do for a business and that if you think you have a good idea, you should never give up. I don’t think that Robert Haasl would have been too upset that his plastic gloop is now being used on cars and not on the handles of garden tools as he had intended. This is an abridged version of an article first published on Hub Pages: Plasti Dip – The Amazing Story Behind Car and Rim Dipping. If you would like to give your website credibility and authority, get a valuable high PR backlink and generate more traffic, check out my Hub Pages Publishing Services here.